To assist in identifying and addressing emerging regional coastal and estuarine issues through research and project development the SCCG has in the past formed partnerships with a range of research, government and non-government organisations. promote academic cooperation which enhances the integration of policy and science on issues relevant to coastal management. encourage visits by staff between our institutions for the purpose of engaging in research. foster the exchange of academic publications and scholarly information. The SCCG and the Institute of Environmental Studies, UNSW established an Environmental Partnership Program in 2004. The partnership program included a number of disciplinary and/or sector perspectives with the principal objective of advancing the management framework of sustainability. Student research projects within the program involved a critical literature review. These projects were undertaken through course electives in Environmental Research in the IES curriculum. Project methodologies included applied social research, technical modelling and assessment, policy development and review, design of regulatory regimes, and/or evaluation processes. 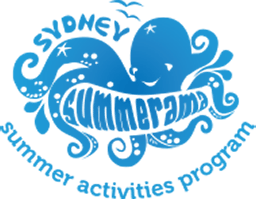 The WSUD in Sydney Project was a cooperative project between the SCCG, Upper Parramatta River Catchment Trust (UPRCT), Western Sydney Regional Organisation of Councils (WSROC), NSW Stormwater Trust, and Sydney Water. The project aimed to enhance the ability and willingness of Council staff to promote and implement sustainable water management practices in Councils operations and in development projects across Sydney. Cities as Water Supply Catchments – a 5 year national research program. This program is no longer functioning. Water Sensitive Urban Design and Water Sensitive Cities projects and capacity building are now available through SPLASH. The SCCG was a founding partner in the Urban Sustainability Support Alliance (USSA). The USSA project was coordinated by the Local Government and Shires Associations of NSW (now LGNSW) and was funded by the NSW Environmental Trust, through its Urban Sustainability Program (USP). Developed tools and resources based on sound research and need. The USSA produced a wide range of publications and resources for councils. SCCG and the Surveying & Spatial Sciences Institute formed a partnership to aid the dissemination of information and tools of geographic information systems amongst coastal managers. The partnership resulted in the delivery of two highly successful forums; Sydney’s Integrated Spatial Future, 9 December 2009; and GIS in the Coastal Environment, 9 November 2010.